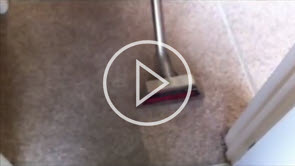 Quality Carpert Cleaning in Gloucester have the equipment, skills and employees to deliver results that you will be amazed at. We are specialists in carpet and upholstery cleaning for domestic and commercial properties across the county and we are proud to cover all the areas throughout the County of Gloucestershire. And we are also able to consider other areas of Gloucestershire as well, so please just get in contact if you would like to know more information about any of our services and to also get a price. We are delighted to Offer a free no obligation quotation service, because we feel sure that if you have a cleaning requirement, not only can we help but we can also offer prices that are competitive and affordable. Because we are a family run business, we are small enough to care yet big enough to cope with ALL types of jobs. Get in touch with us to get a quote or just to find out more about the services we have to offer in Gloucestershire.